Marine Rescue NSW now have an exciting opportunity for a driven Member Services Manager to join their team based at Cronulla, on a permanent, full-time basis. Reporting to the Deputy Commissioner, you will be responsible for the continuous improvement and delivery of member services and support to MRNSW Units and personnel by developing and deploying strategies for volunteer governance/management, membership and leadership growth. You will work closely with both paid and volunteer personnel to support MRNSW unit development through engaging recruitment, retention and recognition campaigns, developing systems that improve communication, raise the MRNSW profile and reduce the administrative impact on volunteers. Coordinating and supporting the information management/data systems of MRNSW in relation to member services. Due to the volunteer-based nature of the organisation, this role will require work outside of regular business hours, including regular weekend work and working away from home 1-2 days per month, on average. MRNSW understands the demands this places on its staff and is dedicated to providing a flexible, supportive working environment. Marine Rescue NSW is made up of volunteers who are motivated to give their time, energy and service to their local communities not for financial reward but for the satisfaction of helping others in need. Every day, these dedicated men and women are out on the water, saving lives and providing advice and assistance to boaters who run into trouble. The importance of the role sees a competitive salary on offer (negotiable based on experience), plus access to a not-for-profit salary sacrifice package. In addition, you will enjoy coming to work every day in arguably one of the best office locations in all of Sydney – with waterside views, ample free parking and only a short distance to the Cronulla Train Station. This is a fantastic opportunity for the right person to step into a pivotal role in a Statewide organisation working with highly senior stakeholders in Government, NFPs and Emergency Services – APPLY NOW! 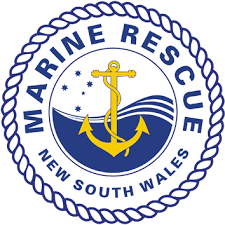 Marine Rescue NSW (MRNSW) is the State’s legislated marine rescue service, committed to the mission of saving lives on what is the busiest coastline and waterways in the country. Boasting the largest and most advanced search and rescue fleet in Australasia, along with the most extensive marine VHF radio network, the 3,000 highly trained volunteers in 44 strategically located units deliver this life-saving service 24/7/365. The Headquarters staff at MRNSW provide a well-resourced and close-knit management and support team function for our volunteer units as well as government and community partners and stakeholders. Please quote in application: Member Services Manager via Pro Bono Australia.